The Strain season 1 comes to a close as the finale battle between our heroes and the ancient evil horror comes to a head. Unfortunately for Eph and Abraham, the Master has a few tricks up his sleeve revealing that sunlight is not as deadly to the Master as it is to his servants. In other parts of the show, Palmer and Eichhorst engage in some unique political maneuvering while Gus meets up with a group siding with a trio of creatures called, The Ancient Ones. 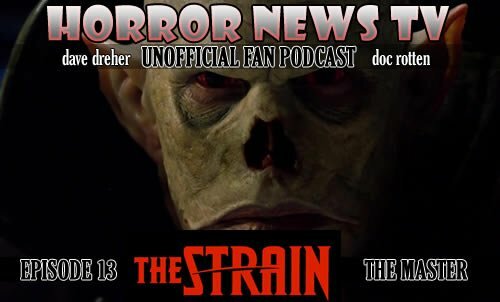 Doc and Dave have lots to discuss as the recap episode 13Â ofÂ The Strain.